S’Mores comes in two versions based on local availability. One is a graham cookie that’s been dipped twice in a crème icing before it’s covered in a delicious chocolate blanket, and the other is a graham cracker sandwich filled with chocolate and marshmallow filling. While you could complement the chocolate, graham cracker, and marshmallow with a sweet or roasty stout, we recommend going with a contrasting pairing of a tart, fruity sour. Match the toasted coconut of these cookies with even more toasted coconut and the roasted caramel flavors in these beers. 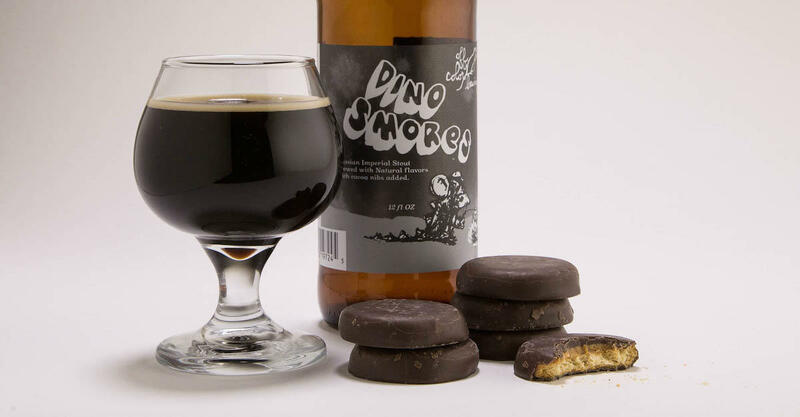 These dark and roasty stouts deliver a mouthfeel that pairs well with the crisp, minty crunch of the wafer cookie (especially if you keep your Thin Mints in the freezer). Consider yourself warned, though, as these beers range from 9—20 percent ABV and you’ll likely find yourself reaching for a second sleeve of cookies in record time. The shortbread texture of the cookies and lemon flavors in the icing make an excellent contrasting duo for these citrusy IPAs and pale ales. Stick with tradition by pairing these classic cookies with traditional beer styles such as Baltic porter’s cheek-warming notes of dark fruits and coffee or a Scottish ale with notes of cocoa and coffee and a dash of smoke. Let the flavors of the Do-Si-Dos dance with the balance and rich texture of these malty lagers. Push aside that lemon wedge you occasionally put in your beer and, if you must add a wedge, consider accenting your beer with a Savannah Smiles instead. The lemon-flavored cookie wedges have been dusted with powdered sugar and pair well with these witbiers and bières de miel. Try these bières de garde for toffee notes and a subtle spice from farmhouse ale yeast that plays nicely with the cranberry inundated cookies. Make sure to let these beers warm up a little for maximum intensity. The vanilla, chocolate, and peanut butter flavors from the Tagalongs sound like adjuncts in a stout. So grab these flavor-filled stouts to heighten the insanity of this pairing. You’ll definitely be cheering when you pair these oatmeal cookies loaded with raisins and Greek yogurt–flavored chunks with these complementing sour brown ales filled with dark fruit flavors. These shortbread cookies have had one side dunked in chocolate fudge. Keep the two-faced theme going by pairing with a contrasting beer such as these imperial IPAs. Or reinforce the cookie flavors with the roasted goodness and creamy mouthfeel of these milk stouts. These gluten-free whole-grain cookies are made with oats, chocolate chips, and peanut butter. Pair these with a gluten-free or a gluten-reduced beer for a gluten-less spectrum of flavor. These gluten-free butter cookies, offered only in select areas, are loaded with bits of toffee, and beer lovers can harmonize with the bread and toffee flavors of the cookie. Or they can stray away from full-on gluten abstinence with these beers.